Yes, She is like me. The book is the collection of her daily journal entries. Mostly her funny moments with the family including her mother, son (called her Prodigal son in book), daughter (baby), husband (Man of the house) and servant (desi Jeeves). Unfortunately, I have read “Legend of Laxmi Prasad” before this book, which is not as good as this one. She writes non fiction better than fiction, it’s understandable as it is hard to write about the things which is not relevant to you. There are few incidences mentioned in the book that I can relate with, like I also found Karva Chauth most overrated festival and a bit filmy, I also don’t believe in magical black thread, magical godmen, don’t think much about dresses while going out etc etc. She is good with sarcasm. It is a fun book and good for light reading. 1. There are 146 countries above us where the men have longer lifespans, and the biggest blow is that even with four wives who don’t fast for them, the Arab men outlive our good old Indian dudes. 2. A wise woman keeps her hands firmly in her pockets and does not accidentally unzip anything, including her mouth. 3. I misfit here, like most women that enter families which are so different from theirs. 4. Our little satellite reached Mars because it was called MOM. If it was called DAD, it would still be circling the Earth, lost, but not willing to ask for directions. 5. Life is full of contradictions. We crave security and independence in equal measures. Munsi Premchand is a great writer indeed. Every character is so well written, while reading the book you feel like living in a village. It’s not a kind of book I usually read but it feels wonderful to read the old classics belongs to your own country. Few chapters are dedicated to women not women empowerment but what writers thinks about women. He expresses his feelings through Mr. Mehta’s character. I like this character the most. He is a philosopher and the women coming to his contact realizes their true self. I loved the book, it is bit depressing but everything is coming on track towards the ending (except the debt part).I would recommend this book to those who love the real literature. Everyone is familiar with Robin Sharma’s work. He does not need any introduction. I am not a big fan of motivational books but this book is quite different. You feel connected with the book. Best part of the book is it’s small chapters. Each chapter is not more than 2-3 pages. You can read 2 chapters a day and keep book aside. Mr Sharma tried to cover every aspect of life in the book, professional, personal, health, spiritual, etc. There is no new information but sometimes we need reminders. Why brain surgeon is paid so much more than a MacDonald’s employee because he has accumulated far more specialized knowledge and specific know how than the McDonald’s employee. I’ ve had a lot of trouble in my life, some of which actually happened. Joining the “Five o’Clock Club” will allow you to start controlling your day rather than letting your day control you. This is a fictional story that portrays Lord Shiva in a normal human being form. King Daksha represent him as a Lord Neelkanth to his people in order to fulfil his personal gain but it turns out differently. As story proceeds, few secrets discloses to Shiva which leads to lots of twists and turns making this book more interesting. Other characters also woven in a manner that justify there name, for example Goddess Kali and Lord Ganesh, we all know they look differently but Amish know how to fit them in a story. This book gives new definition to evil. It deals with saying that extreme good turns into extreme evil. Best part is no character in the book is either good or bad, they react as per the situation. I would say it is a must read. By this post I want to rejuvenate childhood memories and also want to give tribute to Indian cartoonist Pran. Do you still remember below character from Pran’s comics collection? Chacha Chaudhary – “Chacha Chaudhary ka dimag computer se bhi tez chalta hai”. This is the perfect introduction of this character. This guy has a solution of all the problems. Even police consults with him for solving there problems. As a child, I want to be like him, simple living high thinking. Chachaji never lock his house while leaving home as nobody dares to steal anything from his place. He always accompanied with Sabu. Sabu belongs to the Jupiter, he is tall and has powerful muscles with which he breaks the teeth of enemies.“Sabu ko jab gussa aata hai to kahi jwalamukhi phatata hai.” He loves food made by Chachiji. Billoo – Billoo is school going teenager, he is a bit mischievous. He has a pet moti. Other characters of this series is Jozi, Jozi’s dad colonel who don’t like Billoo. Bajrangi, his friend Monu. Billoo has long hair which covered his eyes. He is very clever which help him come out from troubled situations. Pinki – Who can forget Pinki and her squirrel kutkut? She is five year old. First time I have seen a squirrel as a pet. She unknowingly gives trouble to her neighbor Jhapatji, he called her “Musibat”. Other characters are Bhiku and Champu. Raman – Raman represents common middle class man. Even few magazines includes this cartoon column. Others characters of this comic series are (his friends) MogaSingh, Khalifa, wife Kamali, Bald Boss. Raman biggest problem is his Boss whom he always tried to impress but failed everytime. Shrimatiji – Main character of this comic series is Sheela. This character is very popular because it is included in Magazine Sarita. Sheela is a middle class housewife. I am neither a Chetan Bhagat’s fan nor a critic. In my opinion “Five point someone” is a nice book and deserved to be a best seller. It is the best work of Chetan Bhagat till date. 1. Originality : In FPS, CB has shared his real life experiences which make it original. Before this novel nobody tried to portray the life of Engineering student at IIT. Getting admission in IIT or any reputed Engg Institute is itself considered as a great achievement. So, people think like “Admission liya hai to Engineer ban hi jaoge” CB tries to highlight the loopholes in the education system in a humorous way. 2. People can connect with characters : If you are an engg student, you can easily connect with the characters. This often happened with people while reading they feel like “Oh similar incident happened with me also” or “Even I have reacted in the same way as this character is reacting in the book”.This makes the book popular among engineering students. Mouth publicity worked in this case. 3. Simple English : CB has used simple English language, no high vocabulary, easy to understand. It’s true that Aamir Khan and Rajkumar Hirani has created the masterpiece of it with 3 Idiots but nobody can’t deny the fact that the story was originally created by Chetan Bhagat and the movie was inspired by Five point Someone. Aamir Khan or Mr. Hirani can’t take the whole credit alone, the novel was a bestseller before the movie released. 1. To kill the time during journey. 2. This book costs me nothing. Honestly, this book is a great disaster.The story is like a Bollywood script, but if any director dare to make any movie based on it, I will not prefer to watch the movie. What do the other lesser known talented Indian writers need to do to get the same recognition? I am not a novelist and never want to be, but as a reader I love originality. I think there is no formula of success. There is no secret ingredient, just be yourself. This post is written for Indispire : What makes Chetan Bhagat so popular? What do the other lesser known talented Indian writers need to do to get the same recognition? 1. 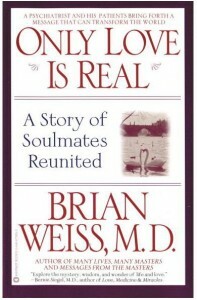 Only Love is Real by Dr. Brian Wiess – When I picked this book, I had no clue about past life regression therapy. This book has changed my perception about life and relationships. It’s hard to believe in reincarnation theory, but this book has the power to change the mindset. 2. 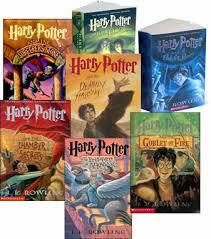 Harry Potter series by J.K.Rowling – A book list without a Harry Potter name is incomplete. I have started worshiping J.K Rowling for her wide imagination.She has created a different world of magic and while reading book we started living in that world. 3. Death Perception by Victoria Laurie – This book is a psychic murder mystery. It is a Part of a Psychic eye series. The Writer is a professional psychic and wants to portray psychic as a normal person. If you love suspense thriller kind of stuff,you will love this book. 4. 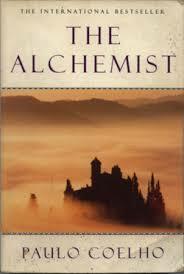 The Alchemist by Paulo Coelho– This book needs no introduction. Every line of this book can be used as an inspirational quote. A story of transformation purely masterpiece. 5. Five Point Someone by Chetan Bhagat – This book can turn a non reader to a reader(I have some live examples ;)). Best part of this book is its all character, they sound realistic you can easily connect with them. This novel shows the loopholes in our education system. I think this is the best novel of Chetan Bhagat till date. 6. 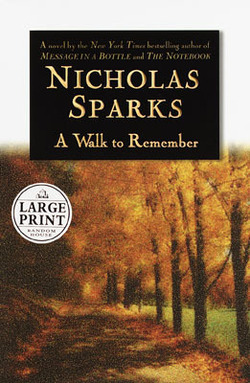 A Walk to Remember by Nicholas Sparks – This book will touch your heart. Beautiful book with loveable characters. You will surely start liking Jamie for her kind-heartedness and Landon for his true love for Jamie. 7. 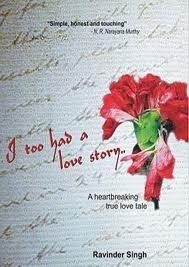 I too had a Love Story by Ravinder Singh – Another heart touching love story and unfortunately true one.I bet that its ending can make anyone cry but still you will feel a positive. You will be touched by the writer’s honest words. This book is a Ravinder’s tribute to his true love. 8. 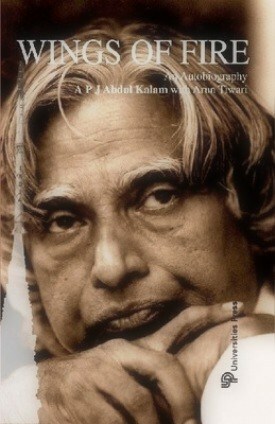 Wings of Fire by A.P.J Abdul Kalam – This book is a recommended by my teachers, truly inspirational. I have no words to describe it. 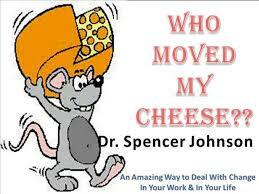 9. Who Moved My Cheese by Spencer Johnson – The best description I have ever read about the changes. This book helps us to deal with the changes. Most of us don’t like change but as we know changes are an important part of life so its better to face it.